I bet a old Navy Seal could handle this one-handed! Didn't see any of these guys jumping up to shoot it a second time. Put aside your girly-man .458 Win Mag. or your wimpy .50 cal and watch guys shoot a real gun, the largest center-fire rifle ever made, the .950 JDJ by SSK Industries. 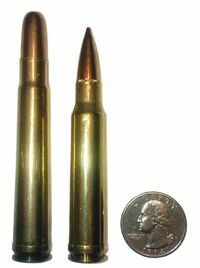 grains of powder, which generates 25,400 ft/lbs of muzzle energy and 277 ft/lbs of recoil energy. That's about the same as shooting 10 30-06s at the same time! Each round costs $40. Would be interesting to see the resulting bruises! What would be interesting is what it would do to say a grizzly or polar bear, cape buffalo, etc.!! I have a 375 JDJ barrel made by those guys for my Thompson Contender. 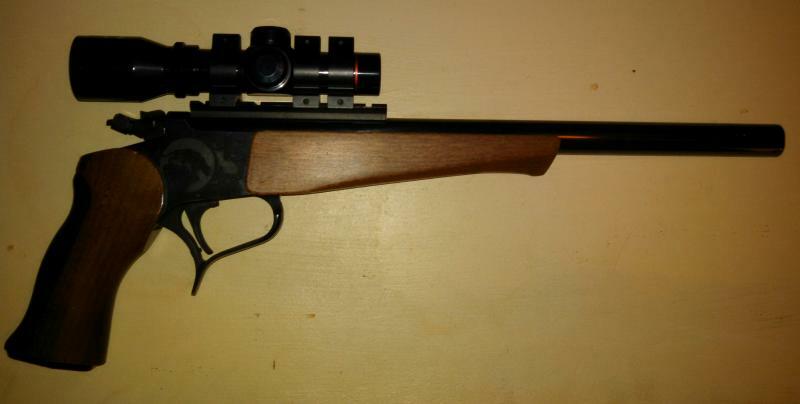 Its a 15 inch barrel that is magna ported and 3 rings to hold the scope on. You take a 444 marlin case and necked it down to 375 that I shoot 300 grain rounds out of. Kills on both ends and no one wants to shoot it after I do. Yea Mike one of these days we will be in the same place at the same time.